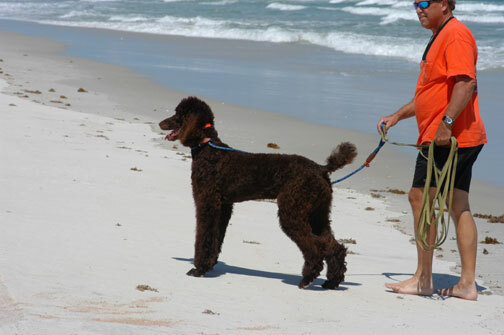 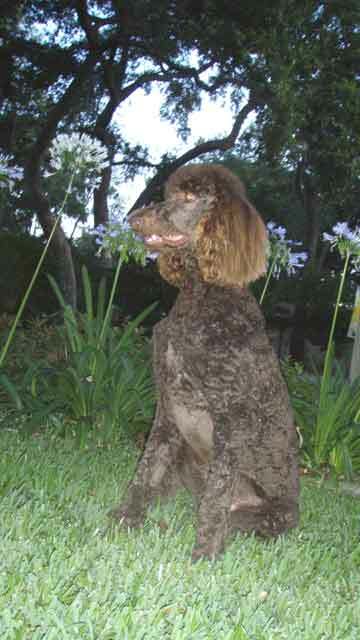 Royal Giant Brown Standard Poodles - Brody FL is at home in Silver Springs, FL with his new playmate Buster and of course his masters ;-) I enjoy going to Art shows and festivals, meeting people and the ocean. 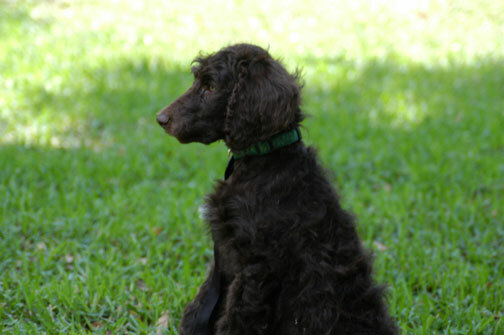 I've grown to be one Giant boy and do catch a lot of eyes...and comments. 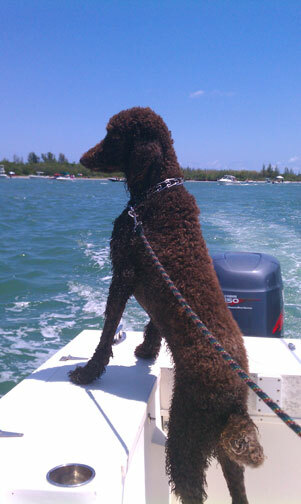 We hope you enjoy our guy's pictures as much as we love and enjoy Brody...he's a life saver for sure. 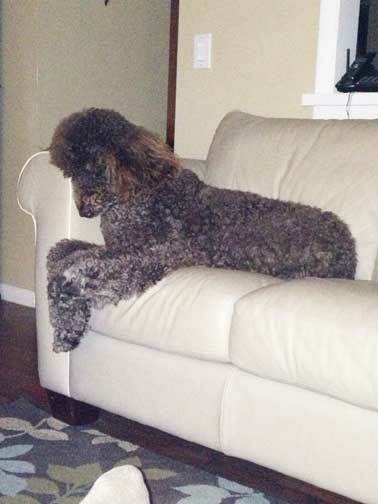 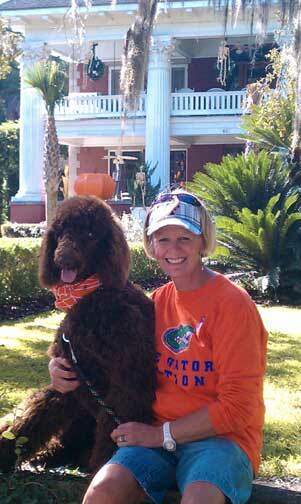 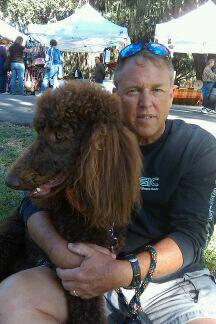 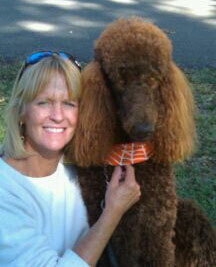 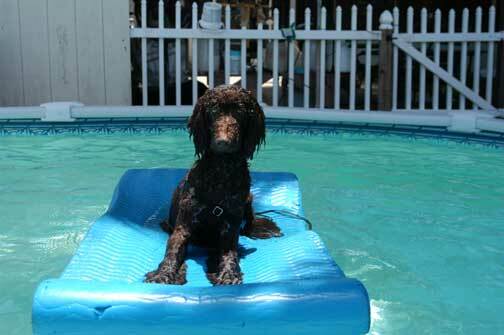 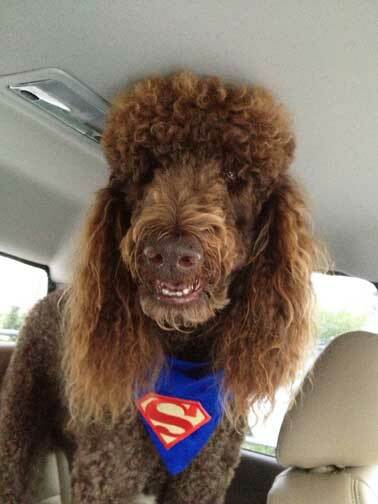 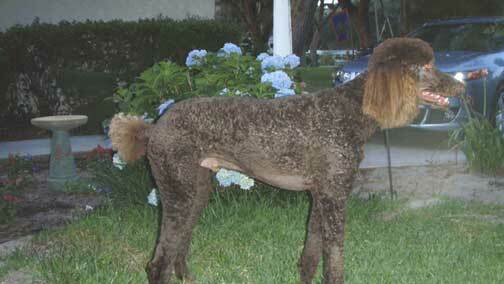 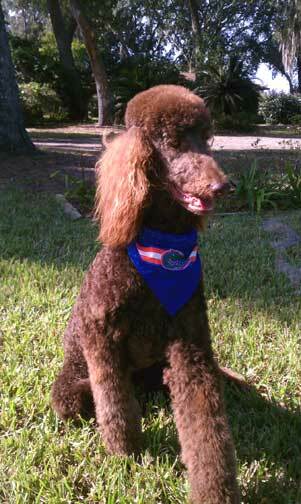 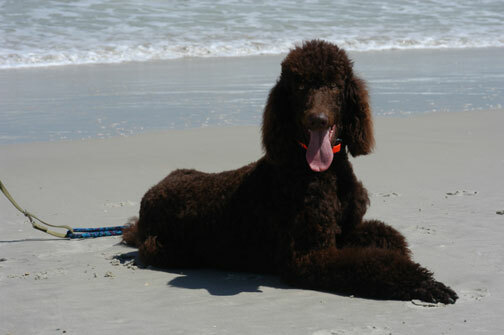 Brody boy has now become 3 yrs old and an absolute giant Royal Standard Poodle - our love! 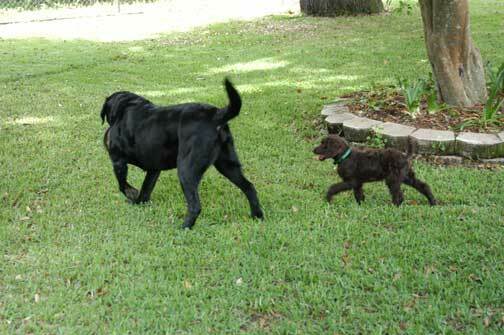 "Buster - wait - wait - I'll catch up with you soon!" 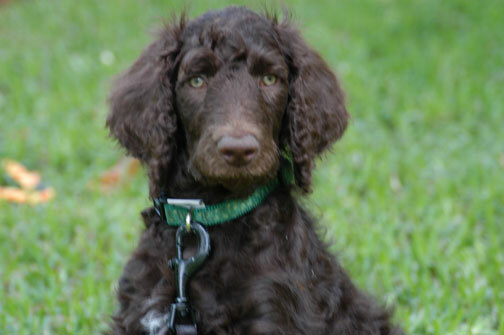 "This is my first mug shot - Cool :-) I'm 20# at 2 months old." 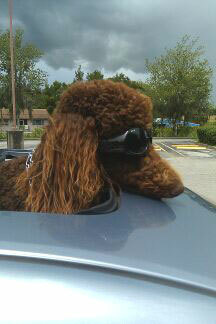 "Check this out - WARM weather! 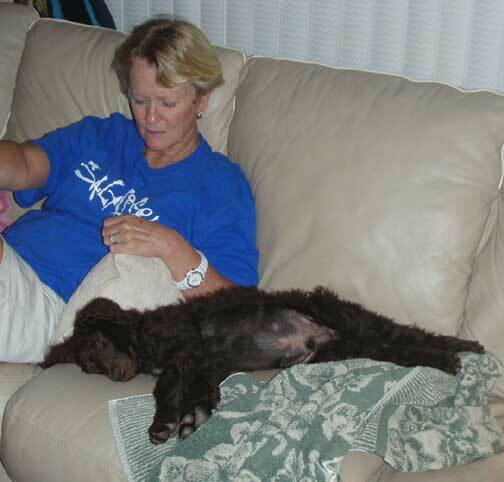 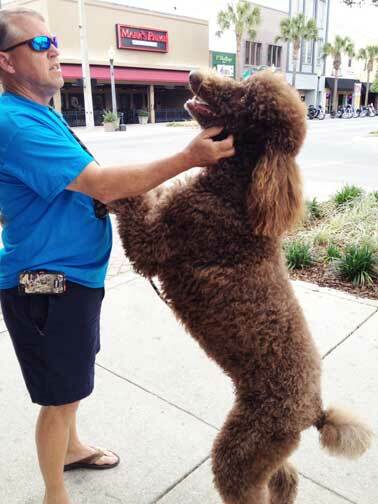 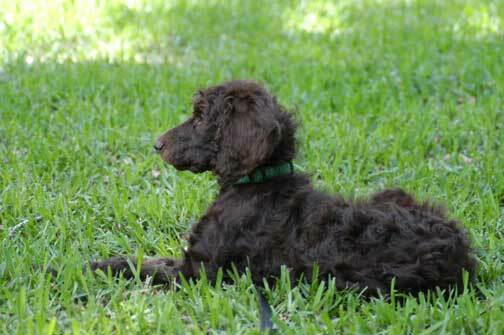 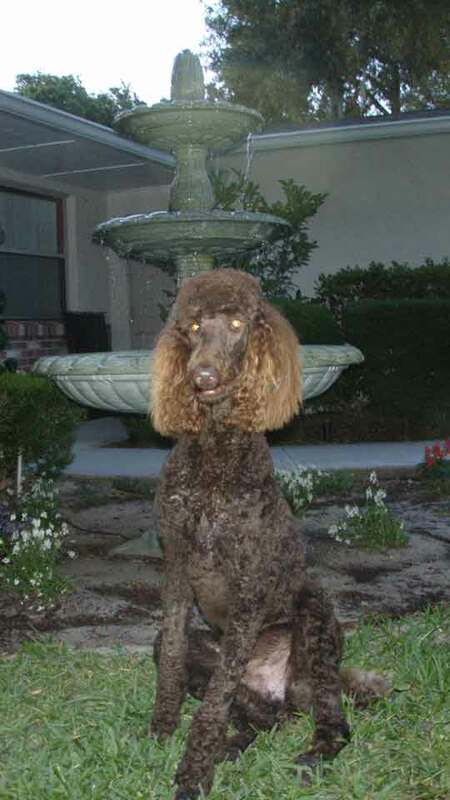 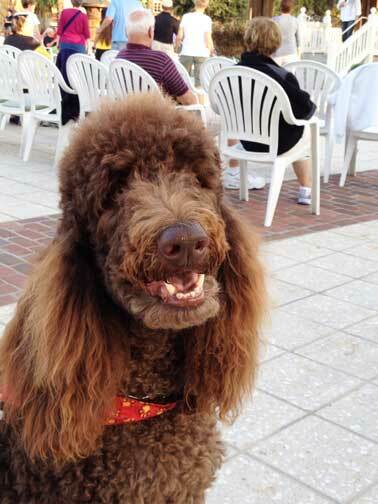 This'll be great :-)))"
"It's time to lay back and get spoiled by my new owners - Thank You for loving me :-)"
Giant Brown Standard Poodles - Brody FL, see if there are puppies available.